Home Travel the world Africa The Ultimate Guide to Backpacking Ethiopia: itinerary, budget and tips! 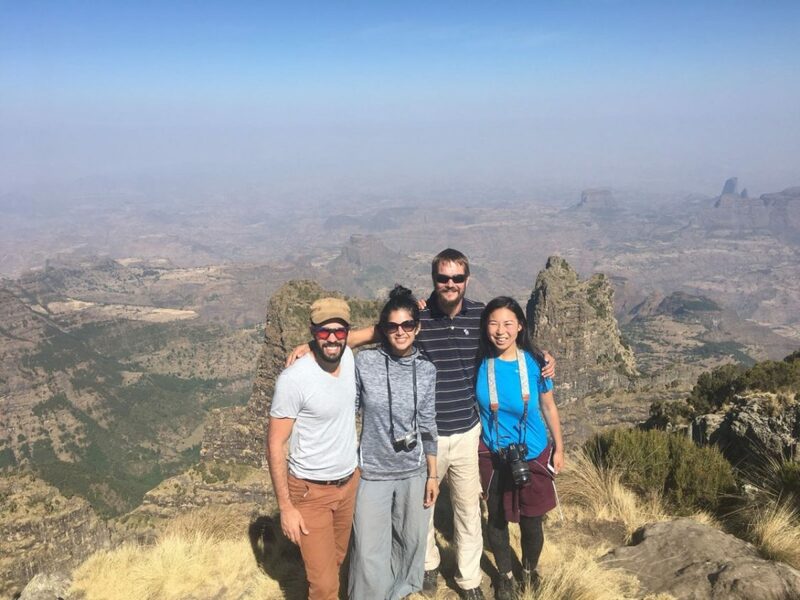 Backpacking Ethiopia is not for rookies. However, if you decide to explore this beautiful country, you will be rewarded with some unforgettable experiences. Join thousands of people in their chanting and dancing for the annual Timkat festival, explore the rock-hewn underground churches of Lalibela, share a meal of Injera with fellow bus passengers or trek the spectacular Simien mountains. Don’t miss Ethiopian dancing! Ethiopia has something to offer for anyone! How to prepare for backpacking Ethiopia? How to communicate in Ethiopia? 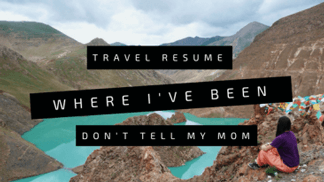 I don’t have much backpacking experience… Should I go to Ethiopia? 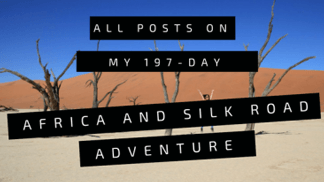 In February 2018, I solo backpacked three weeks throughout Northern Ethiopia (e.g. no tour operator and nothing was booked beforehand). 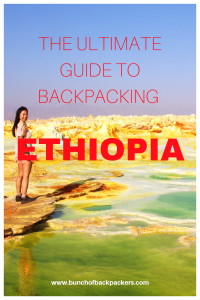 Based on my experience, I wrote this extensive guide to backpacking Ethiopia. 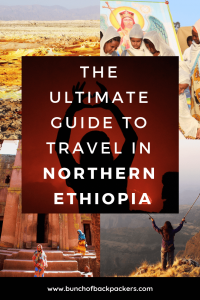 This independent travel guide mostly focuses on Northern Ethiopia and Addis Abeba. Backpacking Ethiopia. Copyright Bunch of Backpackers. Backpacking in Ethiopia is easy and safe, but you may want to pack and check some things before you go. Liner or sleeping bag. Sometimes, my bed only had a thin sheet and no blankets. Especially in winter, I was very happy with my sleeping bag. Warm clothing. I traveled during winter. It was warm during the day, but very cold once the sun went down. In Simien Mountains, it was freezing at night. Your vaccination certificate with a yellow fever certificate. Bring US dollars. There is only a limited number of functioning ATM’s in Ethiopia. Dashen and the Commercial Bank of Ethiopia are the most reliable. However, it’s recommended to carry plenty of emergency cash. David (a reader and fellow traveler) also advices to bring antibiotics, a travel diarrhea kit and a satellite telephone. A satellite phone seems ‘fancy’, but I can imagine if you’re traveling through more isolated parts of the world for a longer period of time, it can be quite useful. Especially when you have your own vehicle. Satellite phones are apparently quite cheap these days. You can opt for a 1-month contract, and the calls are only $1/minute to anywhere in the world. Cheaper than roaming! Thanks for your contribution David! Learn some Amharic. Obviously, you will learn some Amharic on the road, but you may consider to learn some basics while you’re still at home. It’s easy and useful! Download a VPN. Ethiopia sometimes imposes a restriction on social media channels. A VPN can be useful. Download the maps.me application. The Ethiopia map has useful information. Arrange your Ethiopian visa. I arranged my Ethiopian visa in Khartoum, Sudan, because I traveled overland from Sudan. You will get your visa the same day. If you enter by airport, you should be able to get a visa on arrival (check if this the case for your country). You may want to get travel insurance, some immunisations (check with your local tropical healthcare clinic) and anti-malarial drugs. Practice greeting each other with a shoulder bump. This is how freedom fighters used to greet each other in the nineties, but the handshake-shoulder bump is still a popular greeting today. The spectacular Simien Mountains. Backpacking Ethiopia. Copyright Bunch of Backpackers. The best for backpacking Ethiopia is the dry season, between October and June. This is also the best time for trekking. I slept at Gadaref in Sudan and started my border crossing from there. Even though, I left early in the morning, it still took quite a long time and I arrived just before nightfall in Gonder. 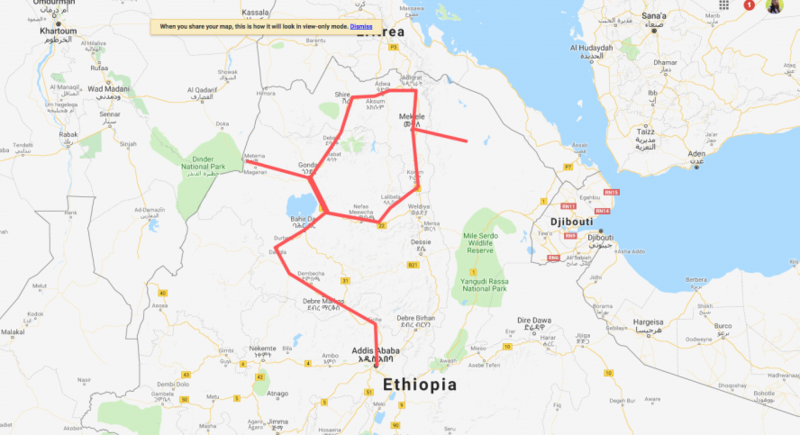 The border between Sudan and Ethiopia is very basic. You will have to go to a few buildings for luggage checks, your stamp and then you can cross the bridge to hop on a bus towards Gonder. Tip: Leave early and make sure you can catch a minibus from the Ethiopian border to Gonder. Avoid spending the night at Gadaref. From what I heard, it can get a bit dodgy at night! Tip 2: You may be asked to smuggle some clothes are other goods with you from the Sudanese border to Gonder. Me and some other passengers carried some clothing in ours bags for an Ethiopian lady. From what I understand they are only allowed to carry a maximum of 3 pieces inside the country. I think we only had 1-2 checks on the way to Gonder. Ethiopian time can be a bit confusing. Basically 06.00 AM (sunrise) international/Faranji time is the same as 12 at night Ethiopian time. So if you show up at 08.00 AM, an Ethiopian clock shows 02.00 AM. If you meet up with someone, make sure to double check the time! 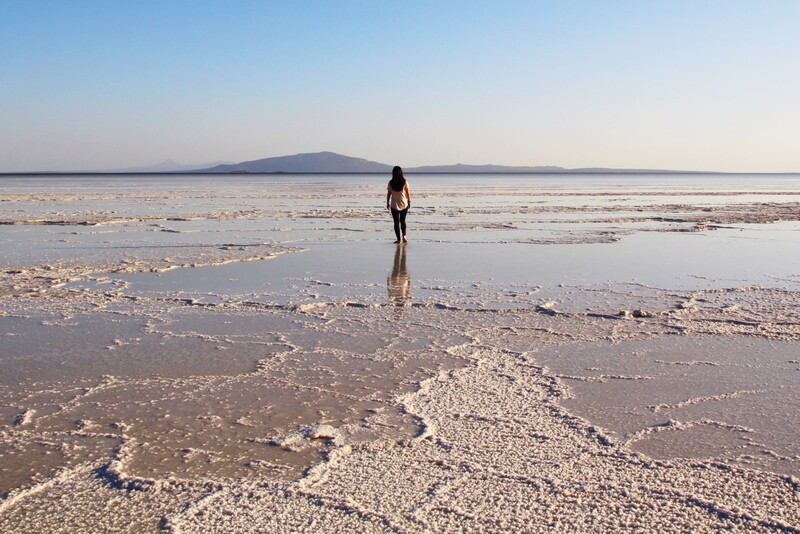 Salt flats Danakil. Backpacking Ethiopia. Copyright Bunch of Backpackers. Buying a sim card: I bought an Ethio Telecom sim card at one of their head offices in Gonder. It is an easy proces: you will need a copy of your passport and visa and they register your phone. The sim card is cheap (about 30 birr). Unfortunately, during periods of political unrest (and this often), the government shuts down the mobile internet. Wifi: Sometimes it works, sometimes it doesn’t! Political unrest is common. With exception of some extra road blocks and blocked internet access, generally this does not affect tourists. Kids sometimes throw rocks to foreigners, which can lead to serious accidents. A friend of friend crashed his motorbike because of a rock and had to return home. Another Dutch lady, who was simply walking the street, got a serious head injury. I did not encounter any rock-throwing, but it’s definitely something to beware of. The Piazza area of Addis Abeba is famous for petty crimes against foreigners and I’ve heard plenty of first-hand stories of other travelers who lost their phone or wallet. 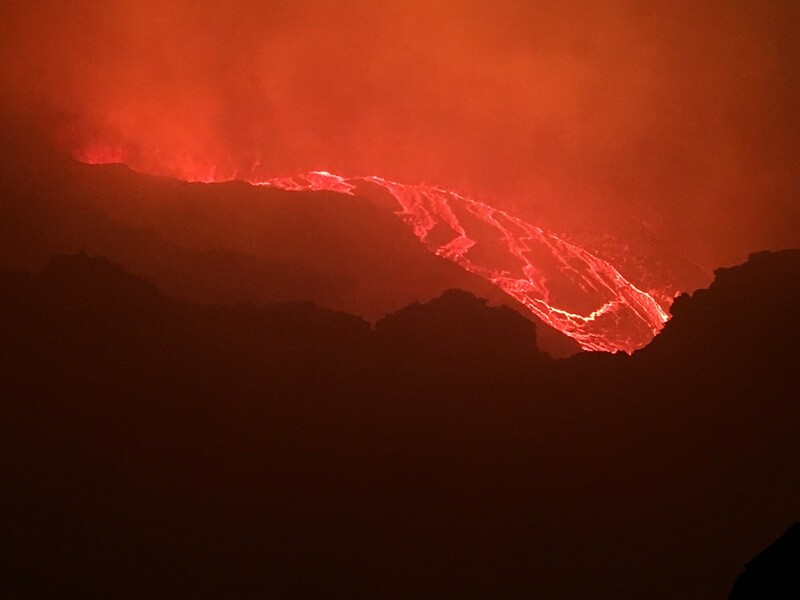 Tourists have been kidnapped and killed at the Danakil Depression. Ask around and make a well-informed decision whether to go or not go. 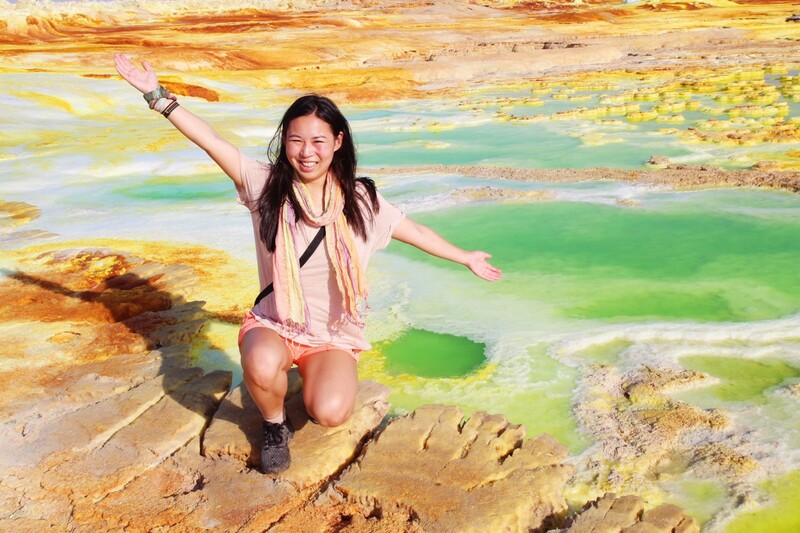 Amazing colors at the sulphur lakes of the Danakil Depression. Backpacking Ethiopia. Copyright Bunch of Backpackers. 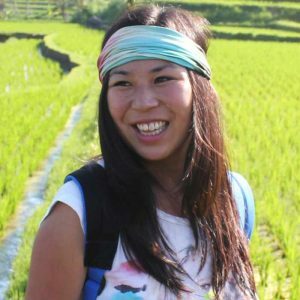 As a (solo) female independent traveler, I did not encounter any real problems. In Mekele, one drunk guy bothered me while I was walking, but some other guys noticed this and scared him away. On another occasion, I forgot time and walked back to my hotel around 10-11PM. It was only a 10-minute walk, but I was approached by three different guys. They did not have bad intentions, but I would recommend to avoid this as you’re vulnerable and there are often drunk guys around at this time (in contrast to non-alcoholic Sudan!). Generally, try to be back before 9PM in your hotel or walk together with someone else. 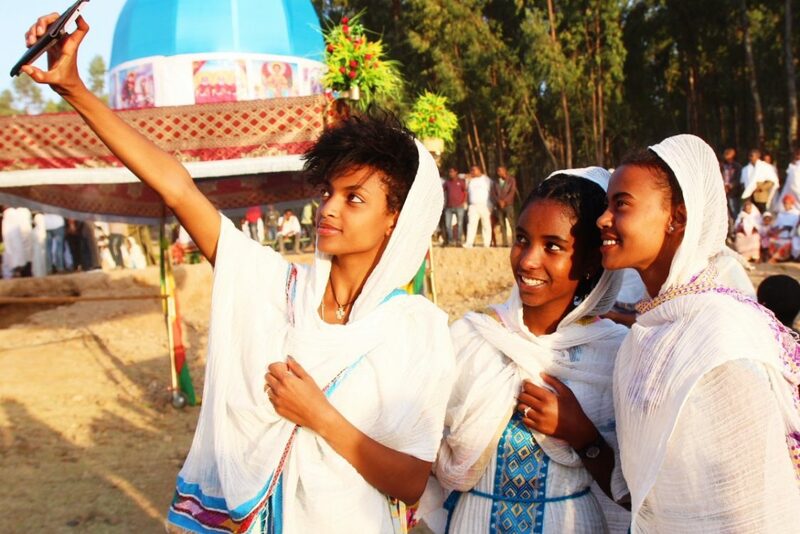 Please remember that some holy sights in Ethiopia are not accessible to women. There are other (solo) backpackers in Ethiopia, but still not many. 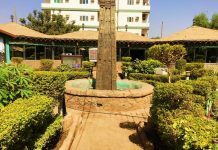 Guesthouses can be a good place to meet fellow travelers, but Ethiopia has quite a few budget guesthouses to choose from, so travelers are scattered. Participation in a tour (e.g. Danakil or Simien) is a good way to meet other backpackers. Simien crew. Backpacking in Ethiopia. Copyright Bunch of Backpackers. Buses were sometimes fully booked beforehand. As a backpacker, planning is obviously not my strong suit! It takes a really REALLY long time to get from A to B, due to animals on the roads and bad and difficult roads through the mountains. In order get to some places you need a transfer, but sometimes there were no afternoon buses, meaning you would need to spent the night. I traveled during Timkat season, which meant public transportation was even busier. Get to the (mini)busstation early! Most buses leave early in the morning (around 6 AM). Check with your guesthouse, if it’s necessary to book the day beforehand. Make sure you go to the correct bus station, because large towns often have several stations. Some (mini)bus drivers may try to rip you off. They ask a fee for your luggage or just a higher ticket price. The big buses are generally fast and comfortable. Bus companies like Selam and Sky bus often provide water, snacks and a movie. Tip: If you book tours with ETT, they sometimes include transportation from one city to the other with a private Landcruiser, which is twice as fast as a local (mini)bus. I was picked up at 5AM at the hotel by a riksja driver, who dropped me at the busstation of Gondar located in the city outskirts. Here, I discovered the 6AM big bus to Woldia was already fully booked. It was unclear if there was a minibus going that direction. So, I asked whether I could sit on the floor of the bus, but the bus driver arranged a box for me, next to him in the front. The box did not have a backrest, which was quite uncomfortable. After 8 (!) 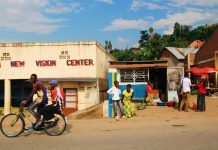 hours, we finally got to the small town Gashena. Here, I was fortunately just in time to catch the last minibus to Lalibela for 100 birr. It took another 2,5 hours on an incredibly bad and extremely dusty road in an overloaded minibus (literally 25 people for 14 seats) to finally get to Lalibela. 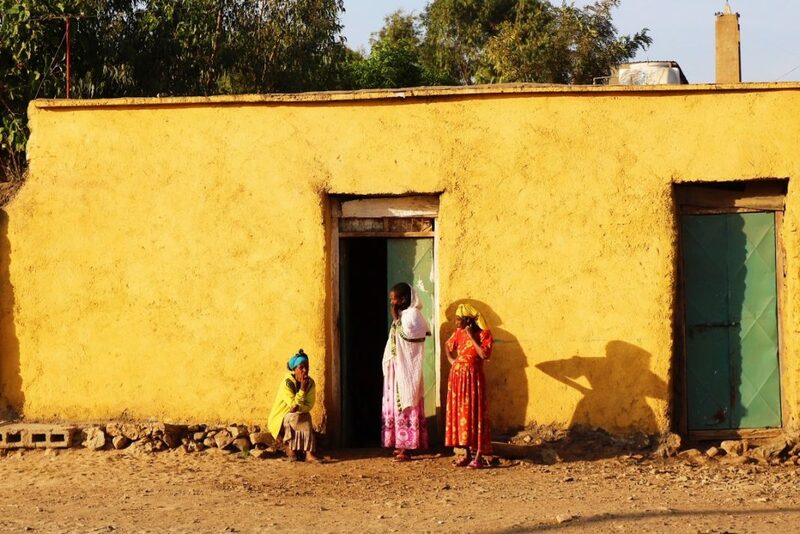 In Northern Ethiopia there were plenty of budget accommodation options catering to both backpackers and local travelers. 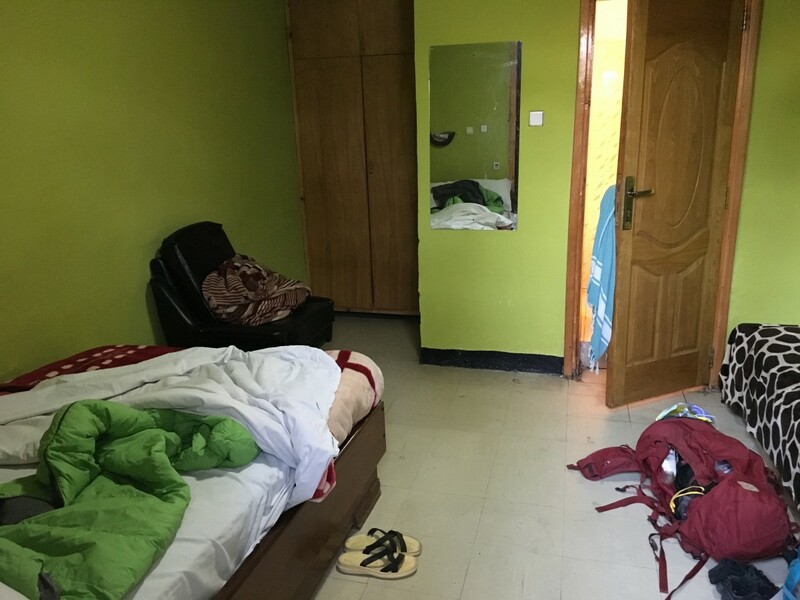 Personally, I did not come across any ‘traditional hostels’ with a dorm and common room, although I think you may be able to find one in Addis. Generally, it wasn’t necessary to book beforehand. Like mentioned previously, I would advice to bring a liner or sleeping bag. You may encounter some bed bugs in Ethiopia. Couch surfing. A friend of mine couchsurfed his way pretty much throughout Ethiopia and had a blast! Camping. I only camped in Simien Mountains. 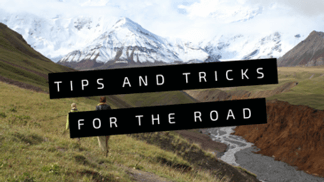 Find some excellent camping tips for rookie campers here! Budget guesthouses. I stayed in budget guesthouses for most of the time and paid between 10-15 USD for a private room per night. Gonder: Both the L-shape hotel and Alliance hotel were fine. Bahir Dar: Highly recommend Manuhie backpacker’s lodge. Good place to meet other travelers. Room in Addis Abeba. Backpacking Ethiopia. Copyright Bunch of Backpackers. You may need to haggle for bus or taxi fares. Some drivers (especially around tourist places) charge higher prices if you’re a non-local. Don’t book your tours beforehand! You will pay the highest price if you book from outside Ethiopia, a regular price if you book from inside Ethiopia, but the lowest price if you simple book on the spot. E.g. I booked my Danakil tour in Mekele the night before the tour departure. There is a black market with slightly better rates than the official rate. ATM’s don’t always work and are only available in big cities. Make sure to always have some extra cash. In my experience, ATM’s from Dashen bank were quite reliable. 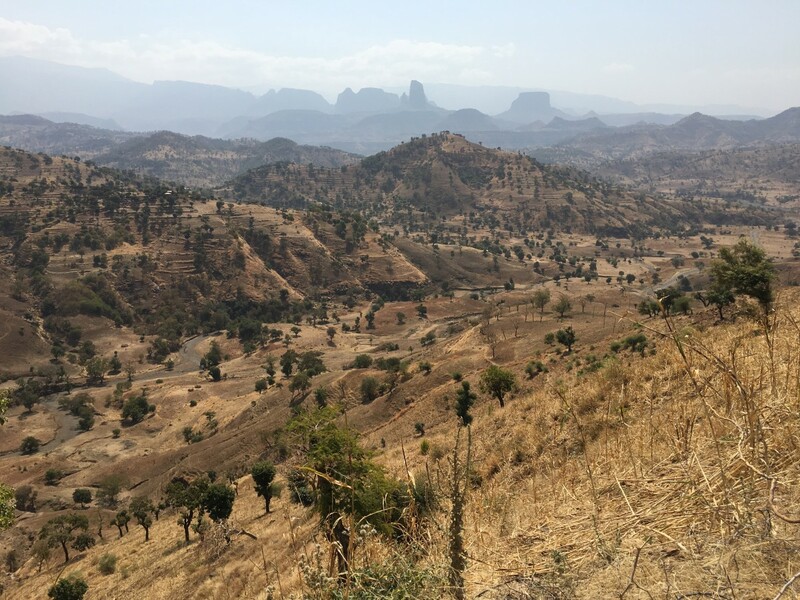 Read this extensive posts on cost of backpacking in Ethiopia. Selfie at the Timkat festival. Backpacking Ethiopia. Copyright Bunch of Backpackers. Simien mountains: Spectacular jagged peaks, deep valleys, waterfalls and interesting wildlife such as mountain goats or Gelada monkeys. Danakil Depression and Erte-Ala vulcano: The hottest places on earth and a truly unforgettable experience. Read all about Danakil Depression in this article! Timkat festival: One of the most spectacular religious celebrations on earth! 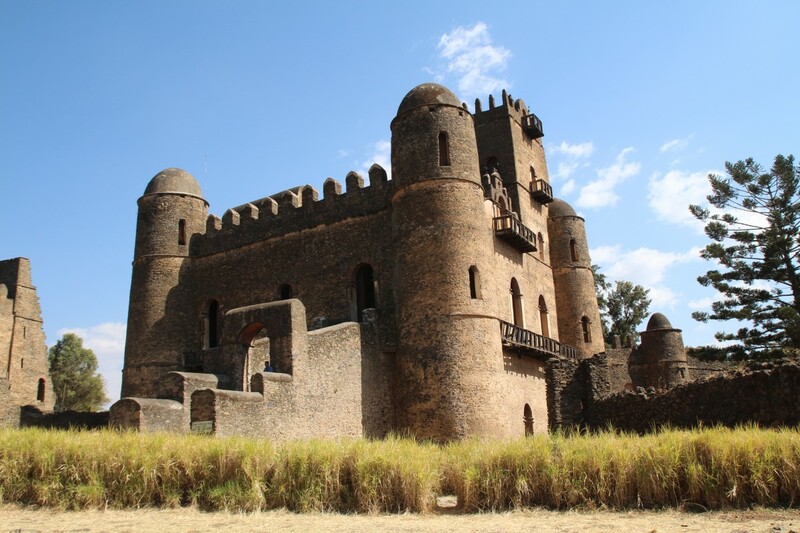 Gondar castle. Backpacking Ethiopia. Copyright Bunch of Backpackers. 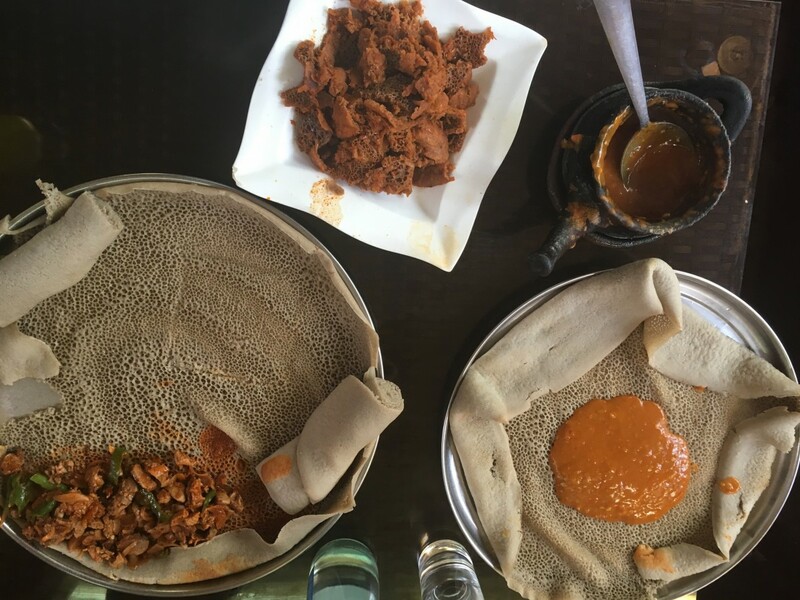 Ethiopian food is (apparently) one of the greatest cuisines in the world. I mostly ate street food and at budget eat houses, so I only tasted a small selection. Ethiopian food is meant to share, which means you often get an invitation to join someones table if you’re alone. ‘Shiro wat‘ is made of chick pea, glarlic, butter and was one of my favorite dishes! Ethiopian ‘ful’ is absolutely delicious for breakfast. It mainly consists of brown beans, but can also be mixed with salad, egg or cheese. Ethiopia is the birthplace of coffee and Ethiopian coffee is world famous. You can get the coffee at a ‘coffee lady’, freshly prepared in a clay pot. It’s often served with popcorn. Remember to eat with your right hand! Injera. Backpacking Ethiopia. Copyright Bunch of Backpackers. In (Northern) Ethiopia you will find people who speak basic (or in tourist areas: fluent) English. I would not recommend backpacking Ethiopia for rookie or beginner backpackers. Even experienced Africa backpackers find Ethiopia a challenging and rough country to travel in. Although, I’ve met a lot of hospitality on the road, there have also been reports of non-welcoming behavior towards foreigners. Some previous Africa experience is definitely useful to have. Furthermore, the facilities in Ethiopia can be very basic. Finally, as a solo traveler, Ethiopia can be a bit lonely. However, if you are enthusiast about going, feel free to contact me for any questions that you might have! 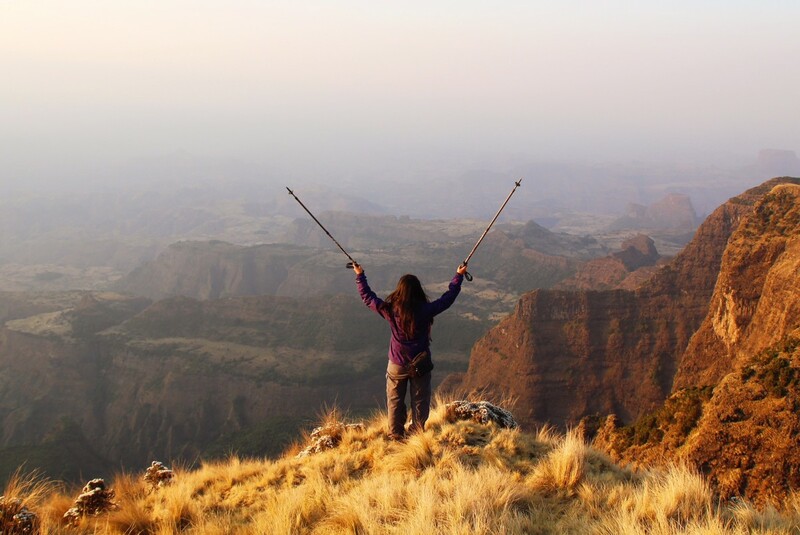 Jaw-dropping views in the Simien Mountains. Backpacking Ethiopia. Copyright Bunch of Backpackers. 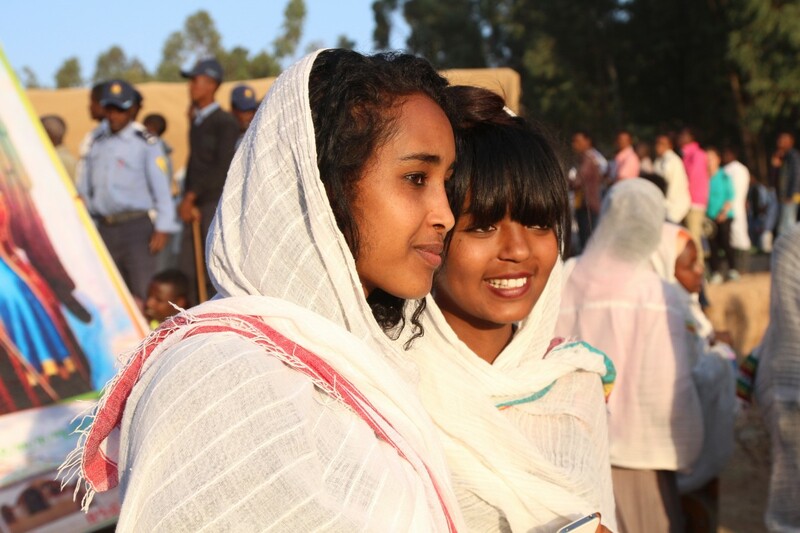 Some Ethiopian people mind to have their photo taken. It’s always better to ask permission. Spent your money locally. This is quite easy in Ethiopia, because most businesses are locally owned. Behave and dress modest at religious sites or events. Don’t disturb an event (such as the Timkat ceremony) by photography. Read more about some ethical travel dilemma’s you might also encounter in Ethiopia here! Erta-Ale. Backpacking Ethiopia. Copyright Bunch of Backpackers. Please, let me know if you need any information about backpacking in Ethiopia or if you’re missing information in this Ethiopia travel guide. Feel free to save this article on Pinterest! Previous articleHow much does it cost to backpack Ethiopia? 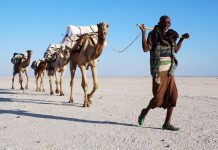 Next articleHow to prepare for your Danakil Depression tour in Ethiopia? Amazing! I love this – I just read ‘The Long Way Down’ and they talk a lot about Ethiopia which has me craving a visit. Fingers crossed! Great post with great points of view. Never thought about Backpacking in Ethiopia, but why not. beautiful. 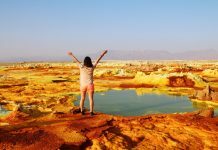 Really enjoyed reading this article – I haven’t actually read any travel blogs who have been to Ethiopia You have a lovely blog too, looking forward to reading about some of your other trips. Thank you for your advice and the informative post! 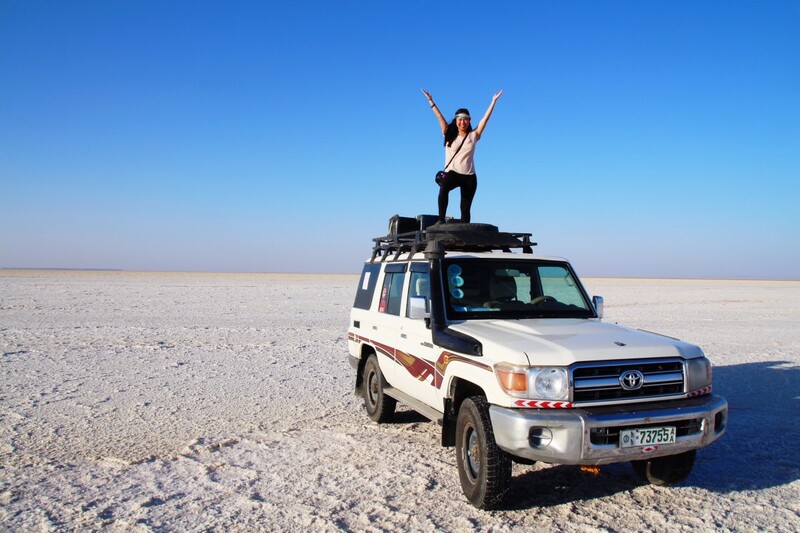 You are brave enough to go solo in Ethiopia , such an inspiration girl! 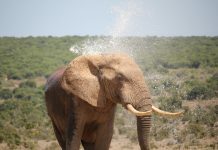 After Tanzania and Morocco I seriously consider an other African country too! Keep travelling! Thank you! The level of detail in this is extremely useful as I’m planning a trip to Ethiopia! So appreciate you taking the time to write this!